The learning material was prepared through recording Namie-machi officers’ behaviour and hearing after the earthquake, and was used in the learning session for human resource development through simulated experience. 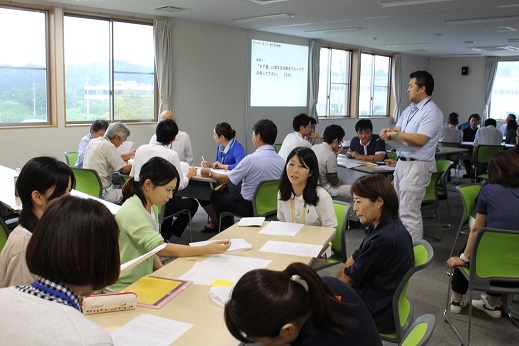 The learning session will be primary programme for “Fukushima learning tourism” which will be conducted in 2014 under the Soma and Futaba Human tourism programme. 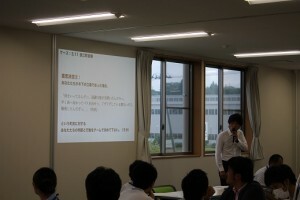 Executing agency: Soma and Futaba District Human Tourism Committee (Secretariat at BFF) and Learning Initiative Inc.
Training session – Taiki Kitajima, representative director of Learning Initiative Inc.
Namie Town office was an ordinary municipality before the earthquake. Community disaster prevention plan and manual were prepared and disaster drill was carried out just as same as other municipalities. Such one of average municipalities faced the outbreak of the unprecedented Great East Japan Earthquake, tsunami and nuclear accident. 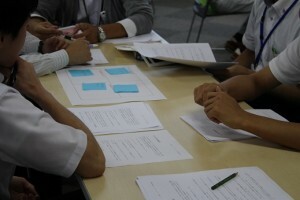 How measures for disasters as the plan, manual and drill functioned or not? What kind of problems the officers faced at the disaster scenes? The case study provides participants with simulated experience of disaster measure through Namie town officers actually conducted. – It was practical as I could assume if I were in the same situation through simulated experience type training. 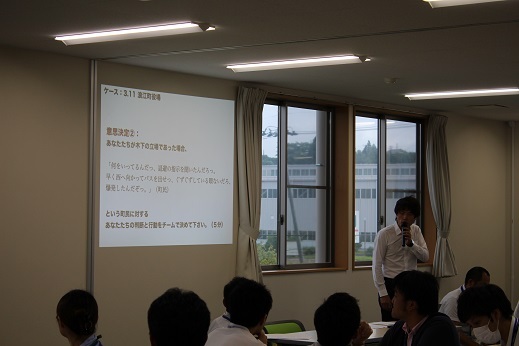 – The session was full of realism by lively explanation and session process, and it was like I experienced the earthquake related work.